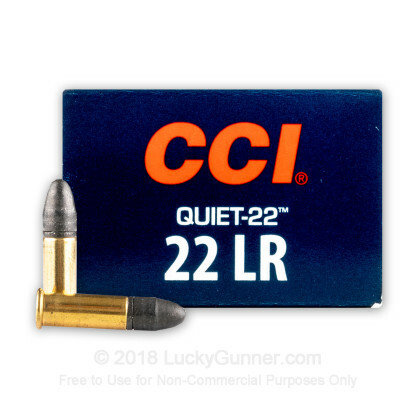 New in 2012, is CCI's 22 LR Quiet ammunition. 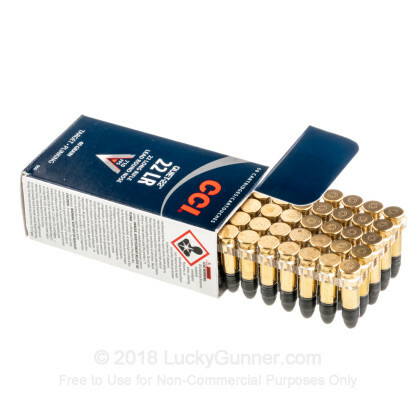 This 22 LR travelling at 710 FPS achieves 75% reduction in perceived noise over regular 22 LR ammo. 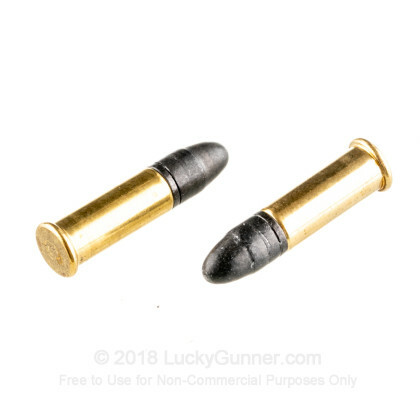 In fact, this ammo produces similar noise as that of a pellet gun but with far better ballistics properties. 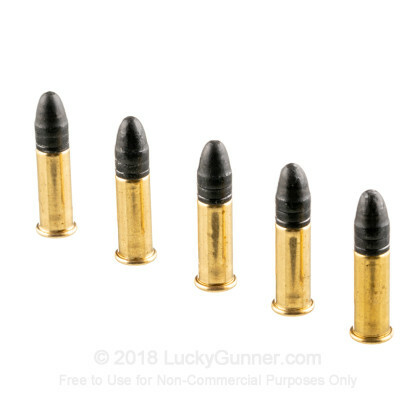 This ammo is quiet enough that hearing protection is not required according to the manufacturer (we still recommend it though as part of a safe shooting regimen). 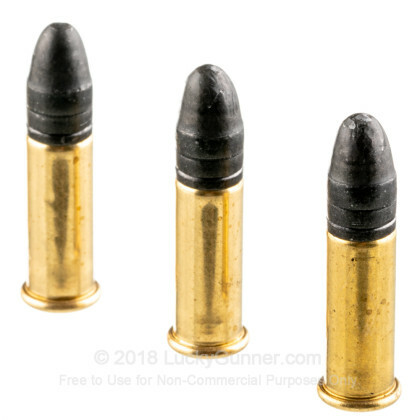 This product is ideal for taking care of troublesome varmints in areas where it is legal to shoot but noise is an issue. Super quiet and very well made. Works just fine in my bolt action CZ. Great price. Fast shipping. Thanks. Work my well in single shot rifles & revolvers, But my 10/22 doesn't like it. It won't cycle it. 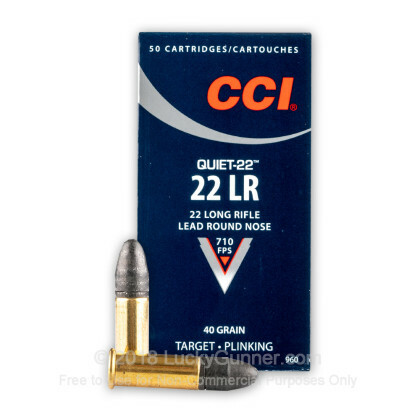 We also have this .22 Long Rifle - 40 Grain Lead Round Nose - CCI - 5000 Rounds ammo in stock in a bigger quantity.